Oh, my girls will be excited to pick up this FREEBIE at CVS. Starting August 4th, you too can score FREE Revlon Nail Polish at CVS. Make sure that you have the $2 off Revlon Coupon. 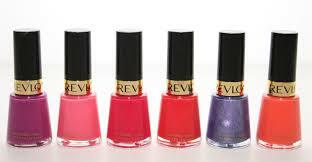 It can be found in the July 28th Smart Source Coupon Insert..CVS will have Revlon Nail Polish for $4.99. Use the $2 off coupon and earn $3 CVS Extra Care Bucks, making this FREE after savings!